Whether you choose a corded electric mower or a battery-powered cordless model, an electric lawn mower will keep your lawn in top shape for an energy-efficient low price. This year, you’ll find best-selling, top-rated, and expert-recommended lists for both our corded and our cordless mowers. 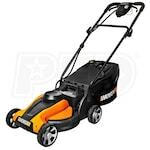 If that wasn’t enough, we have an Electric Mower Buyer’s Guide to help you make the decision. There’s no such thing as too many choices. 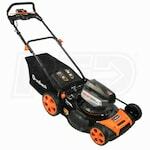 When it comes to finding the right electric mower, we give you the power! 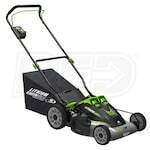 Best Electric Lawn Mowers.. Our Power Equipment Direct how-to library can help you learn about How to Fertilize Your Lawn, Vote for Your Favorite Brands in Mower Madness 2019 and Official Mower Madness Contest Rules.